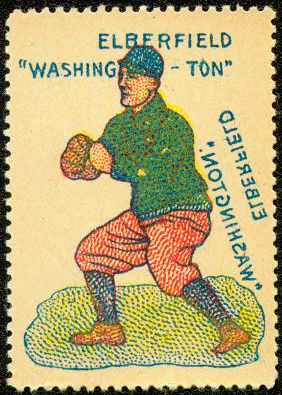 The 1909-10 German Baseball Stamps baseball set include 41 stamps separated from perforated sheets of 35 cards. Each stamp measures between 1-3/8” and 1-1/2”by 1-3/4” and 1-7/8” with multiple perforated edges. Each example displays a color drawing of a player in positional action, i.e. pitching, fielding or batting, with the player’s surname and team city printed next to the image on a pink background. Because they are European, the player and team names often feature mistakes and may not represent the player named. 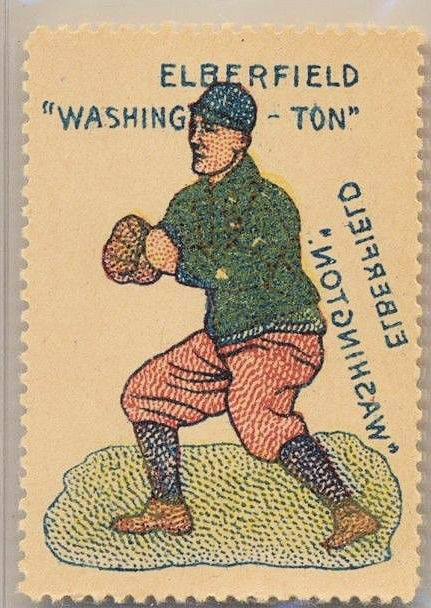 These unnumbered stamps have been cut from numerous different sheets and highlights include Hall of Fame talent such as Roger Bresnahan, Eddie Collins, Willie Keeler, Nap Lajoie, Christy Mathewson, John McGraw, Eddie Plank, Tris Speaker, Joe Tinker, Honus Wagner and Cy Young.